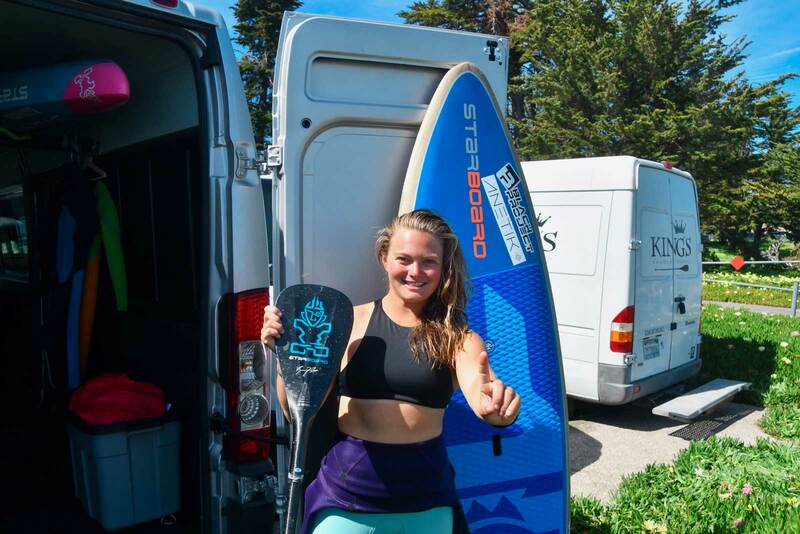 Starboard Dream Team rider Fiona Wylde Claims 2019 Santa Cruz Paddlefest Title in the SUP Surf competition. 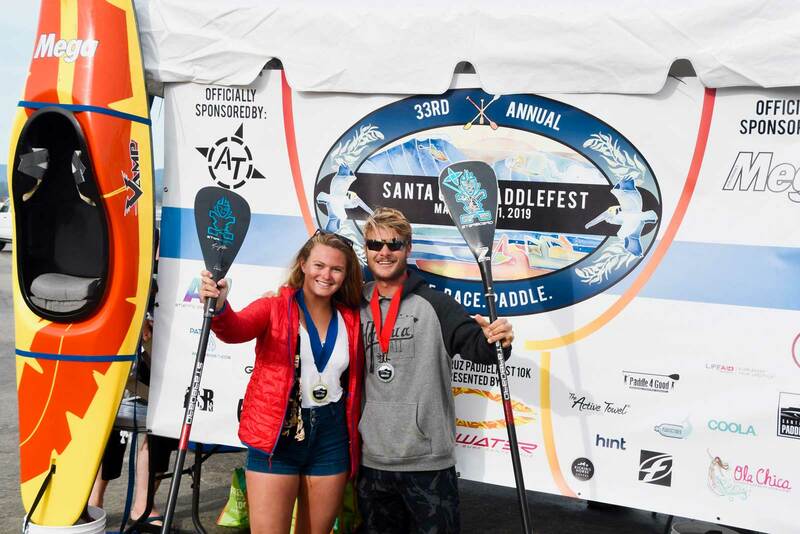 The 33rd Annual Santa Cruz Paddlefest did not disappoint! 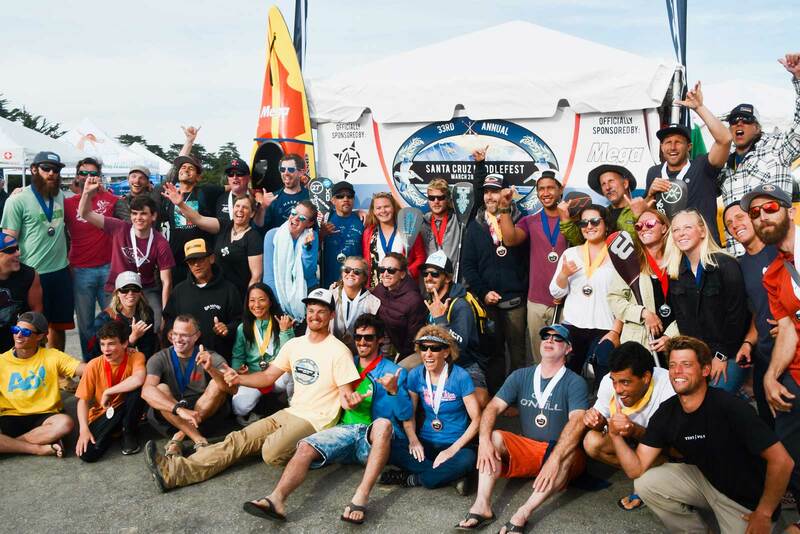 There was plenty of swell for a truly contestable competition in fantastic sunny conditions. This year the paddle surfing community was out in force cheering each other on and overall just having a good time. All the contestants created a loving community atmosphere at this event and the number of smiles throughout the weekend are a testament to that. 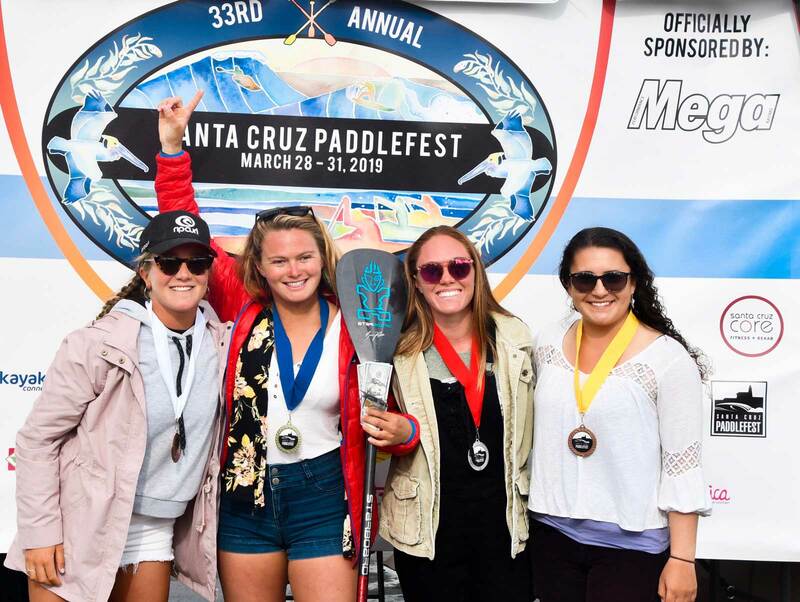 “Three days of sunshine and glassy waves welcomed competitors from all corners of the world for the Santa Cruz Paddle Fest! Being able to surf Steamer Lane with only three other people is a dream, and to do it three days in a row, well it’s quite the draw for the contest! I chose to surf the 7’0 Starboard Pro. I’ve been training on this board and loving it in the head high to just overhead conditions. This board is easy to paddle because it still has a width of 24” despite being only 7’0”. This helps me in contests for manoeuvrability and generating speed through flat sections and release off the top for my top turns. I opened up day one with a second place in my first heat. 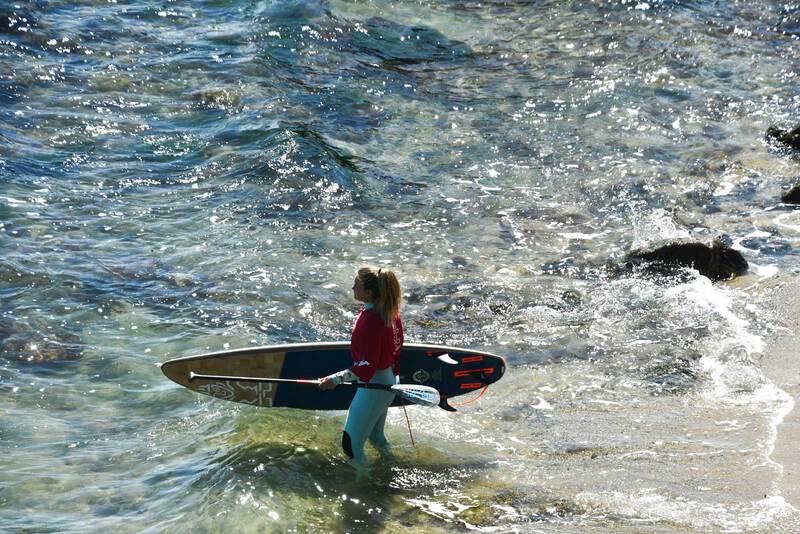 Luchy Cosoleto from Argentina, a QS surfer just getting into SUP, was ripping! We had a tight heat, but in the end, she took the win! Luckily for me, top two advance, so we were both into the next round. I had been feeling a bit off (like I was getting a cold) in the days leading up to the event, but I was just brushing it off. Saturday morning I woke up and had my little cold had gotten progressively worse and I could feel it in my lungs. Saturday morning was the 10km race and as I was breathing hard eating my breakfast that morning, I decided it was not the best option for me to race. I absolutely love racing, so this was a really hard call for me, but my health is the most important. I spent the morning resting, hydrating and trying to conserve as much energy as I could for the Semis. In the Semi-Finals, I had just about the slowest heat I’ve ever had! Not a single set came through for the first 8 minutes of the 19-minute heat. When it did, it was really nice, and I was able to catch it and surf to a 6.33. I didn’t have a backup wave and the ocean went flat again. I knew a set could be coming, so I decided to stay patient and wait. With 5 min to go, another set popped up, this one better and I got a 7.33. Happy with the way I was surfing and the scores I was receiving, I was into the final!! Another final this year, I couldn’t be more excited!! As excited as I was, I was exhausted! I promptly fell asleep as soon as I got home from the contest site. But when your body needs sleep, it’s good to sleep! Finals day greeted us yet again with sunshine and clean waves! Although the waves seemed to be a little sleepy. The swell had dropped and the period extended, so there were long lulls. Sometimes heat-long lulls. I was hydrating and watching the surf as much as I could to get ready for the finals. Steamer Lane is a hard wave to surf in a contest because it’s such a large playing field. There’s The Slot, Middle Peak and Racetracks. Figuring out where to sit, especially in a fidgety swell, can be difficult. In the first 30 seconds of the final, a set popped up on the horizon and I was in the perfect spot. Three turns and I kicked out to earn a 7.0. On the way back out I picked up a smaller wave and did a couple of turns get a backup score. That was a 5.67. I had a good heat total at that point, but I knew I needed one more just to feel more comfortable. With 12 min left, a hefty set rolled in and I caught the third wave in the set. It was the largest of the set and stretched from The Slot, through Racetracks and into Middle Peak. I think I got 8 or 9 turns on this wave! It was a wave over 50 seconds long! I was stoked when I kicked out, that is what I needed!! Paddling back out, I heard the announcer exclaim I got a 9.67! I was shocked but started smiling! Back out at the peak, we had 7 and a half minutes left to go. Lara Claydon was ripping and had just dropped a massive single hit score of an 8.33. She also had a 7.0, so the scores and waves were out there. No sets were approaching. I was standing out at the takeoff zone waiting patiently if a set came, but also knew that I was in the lead. The buzzer sounded and that was it! Finished out the final with a 16.67 heat total in first! I can’t believe it! I’ve had the best start to my season with for wins out of four events! 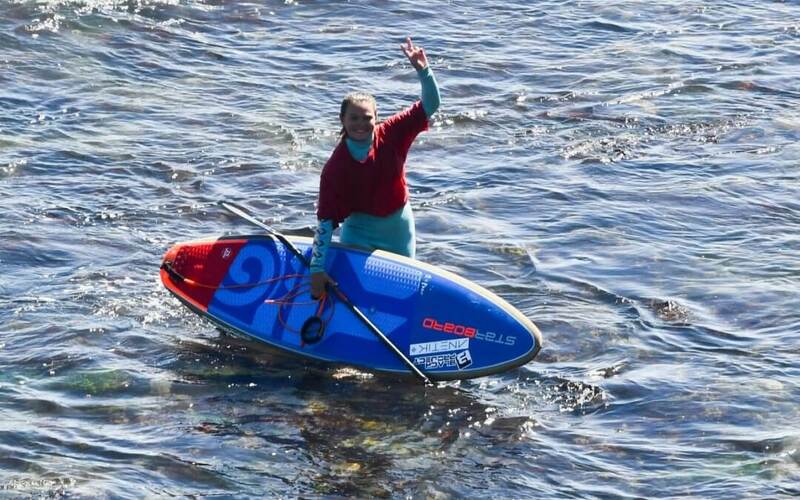 Düsseldorf Boot Show, APP Sunset Beach Pro, Master of the Ocean and now Santa Cruz Paddle fest! I’m over the moon! I’ve been learning so much with each event and each event is motivating me to learn more and keep improving. Huge thank you to Covewater Paddle Surf for being the presenting sponsor of this event. I got to visit their shop before the event kicked off, and the line up of boards had me drooling! Olivier and the entire crew at Covewater are so kind and helpful! If you’re in the Santa Cruz area, make sure you check them out! !